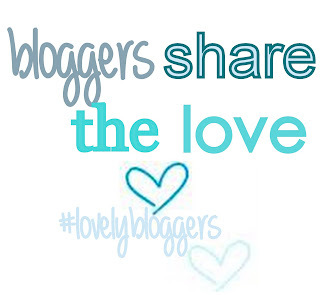 Welcome to my second Bloggers Share The Love post! I can't believe another month has gone by already, where does the time go?! Here are my favourite posts, finds and giveaways from September. This post describes what sounds to me like the perfect pampering session. Mel talks about her routine for a mini facial and the products she uses, which sounds amazing! It also reminds me that I must take some more chill out time for myself to do things like this! Hannah wrote this fab post about her friendship experiences and recognising the friends that are "drains" and the ones that are "radiators". I won't go into it in detail- I'll let you read the post- but I loved it as what she describes is something I can completely relate to. I love reading NOTDs and nail art posts! Thanks to this I have another nail design to try added to my list. I love the pictures in this post and I am very jealous of Islay's amazing nail art skills (you will see what I mean from the nail wheel picture). This is an American blog and I started following it because her reviews and her photos are fantastic! Plus it's great to read about products from across the pond that I haven't heard of before. I've followed the two blogs below for awhile now and they've both well deservedly reached 200 followers. Here are their giveaways to say thank you! This amazing giveaway is to win a selection of American beauty products! Ends 7th October. Win a mystery selection of some of Lisa's favourite products from brands including MUA, Essie and L'Oreal. Ends 19th October (if I've worked it out right from Rafflecopter!). Hope you enjoyed this month's post and hope you find a new blog or post to love! thank you for the mention, you're so sweet! what a lovely idea - a great way to share the love. Thanks for sharing :) love seeing new blogs! Great post and great blog overall. 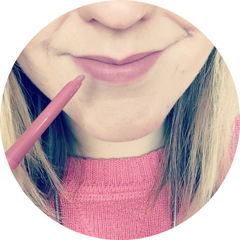 Ive just started up my own beauty based blog. Would love it if you could all check it out :) Bear in mind is very early days lol.